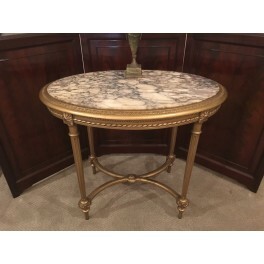 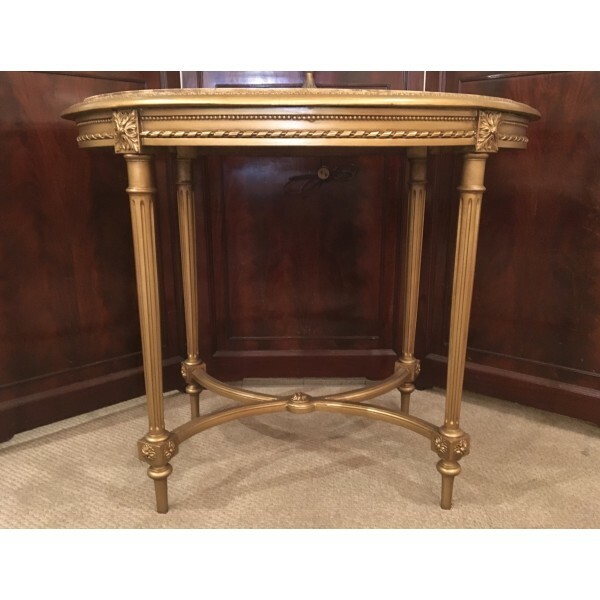 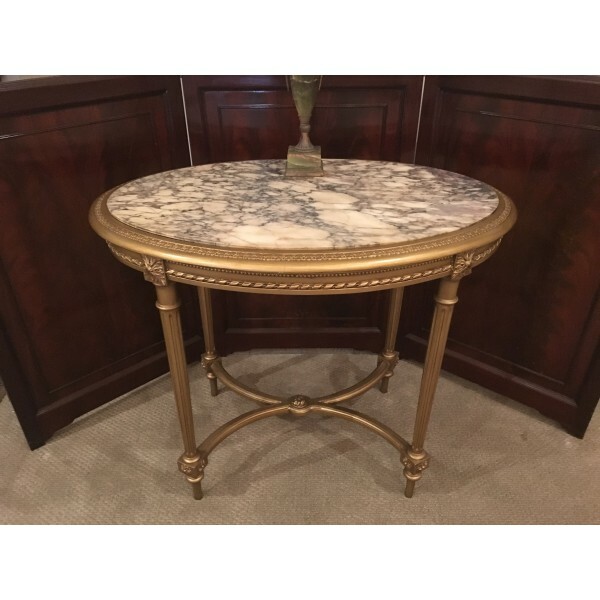 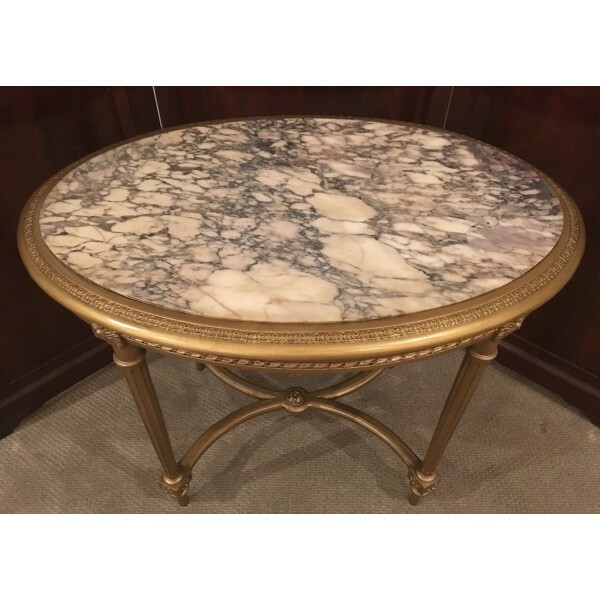 Gilded Louis XVI occassional table with ' breche violette ' marble insert on fluted legs with trestle base c. 1890 origin 'France' ..
Dimension Width 35 in. 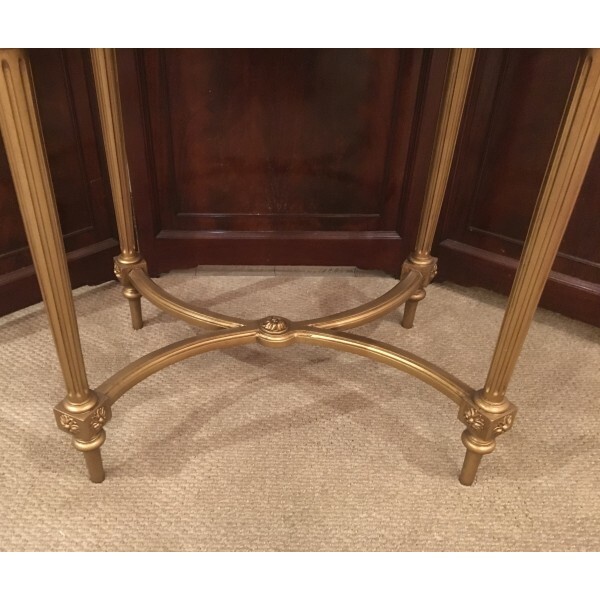 Depth 23 in. 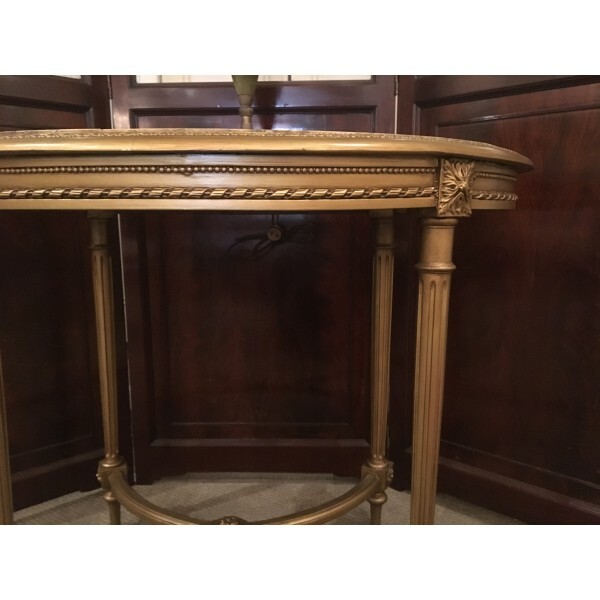 Height 29.5 in.